Designed with input from educators and IT professionals, Dux was created to ensure it could withstand the unique rigours of the everyday environment - be it in the classroom, at work, or anywhere else an iPad might go. Dux features a patented magnetic closure that allows for easy folding into typing or viewing modes, a transparent back panel that accommodates barcode scanning or your own personalization, as well as a durable and water resistant polyurethane cover to ward off occasional drips or spills. In addition, reinforced corners safeguard the iPad from inadvertent drops - protection that's been verified, having exceeded U.S. Department of Defense Standard drop tests. 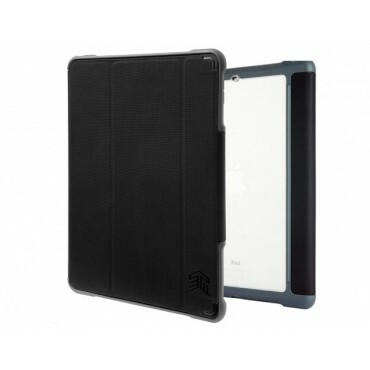 Deliver best-in-class protection for your iPad with Dux.